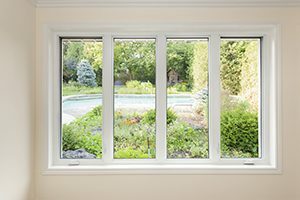 Are you thinking about having replacement windows installed at your home in Destin, Florida, or a neighboring community? If so, Let Majors Do It. Majors Home Improvement is a locally owned and operated home improvement company that has served homeowners in the area since 1997. We hold an A+ rating with the Better Business Bureau and have won numerous industry awards, setting us apart as a leader in the community. The replacement windows you select will be expertly installed by our team of factory-trained craftsmen. Our installation team will meet or exceed the industry standard when installing your windows, as well as provide respectful service throughout the project. What’s more, every window replacement we complete comes backed by our impressive double lifetime warranty, so you can rest assured that your investment is completely protected. Ready to get your replacement windows project started today? Contact Majors Home Improvement to schedule a complimentary consultation at your home in the Destin, FL, area.